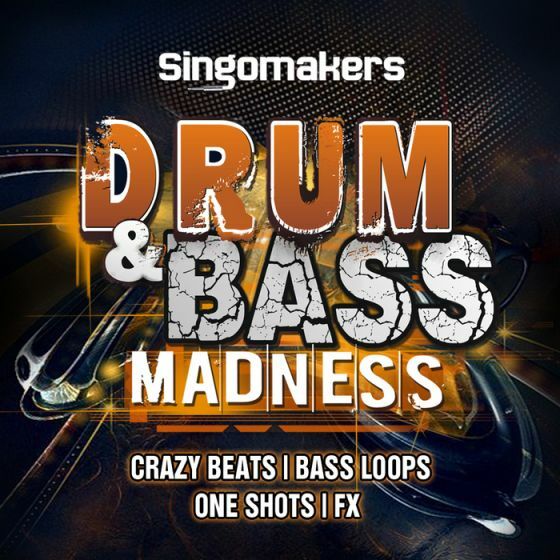 "Singomakers" returns with a fresh and enormous collection of royalty free samples "Drum & Bass Madness"! This powerful collection of royalty free Drum & Bass samples comes in at an impressive 855 MB and includes 714 24 Bit samples, with 280 Insane DnB Beat Loops at 175 Bpm, 146 One Shot Samples, 100 Angry Bass Loops, 120 Melody loops, 37 Speaker Blasting Sound Effects and 250 Rex2 files. All samples processed with magical tubes and EQ of analog Avalon vt 747! With this crazy collection of extremely high quality samples you will easily make a new Drum & Bass, Dubstep/Drumstep or Jungle hit! But you also can use all these sounds for other Mad & Rocking genres like TRAP, Complextro, Big Room, NU Electro, Moombahton, Dutch House, Hip Hop and a lot more!